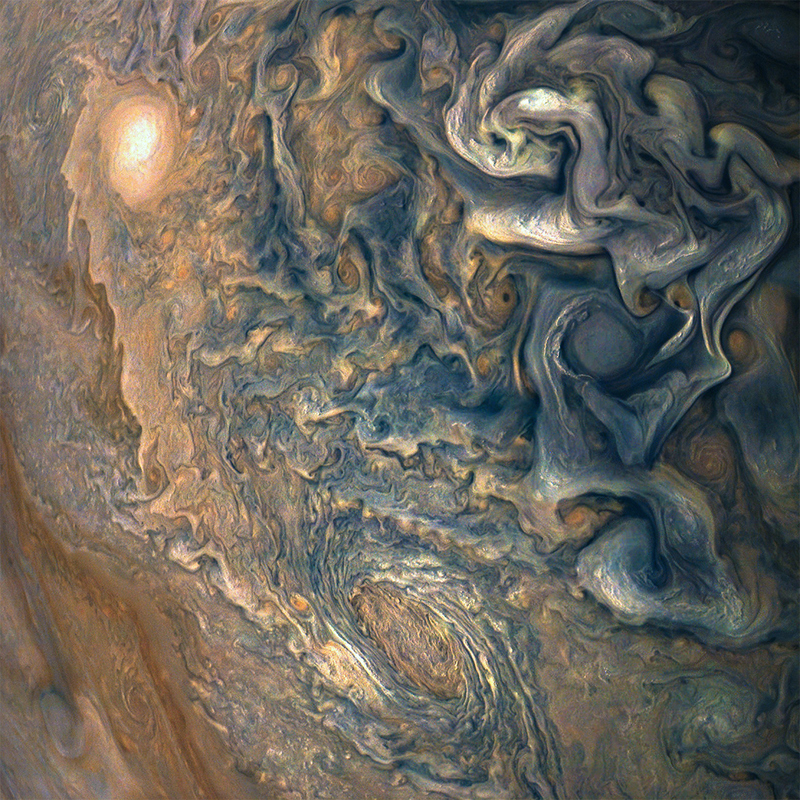 Citizen scientists Gerald Eichstädt and Seán Doran amped up the color and contrast of images of Jupiter's turbulent atmosphere as captured by NASA's Juno spacecraft. Below, for, um, comparison, Vincent van Gogh's "The Starry Night" (1889) and Edvard Munch's "The Scream" (1893). More of Eichstädt and Doran's stunning work here.